In an unassuming building in the West Loop, past a call box, up a few stairs and behind a strangely industrial metal door, lie rooms filled to the brim with boxes upon boxes of small notebooks, varying in color and page style, but each shrink-wrapped package bearing bold words on the cover: Field Notes. Field Notes started as a partnership between Aaron Draplin, a Portland, Oregon artist, of Draplin Design Co. and Coudal Partners. Coudal Partners began as a traditional creative design and ad agency, but rethought their strategy after businesses started cutting their marketing and advertising budgets. “We took a step back and tried to figure out if we wanted to chase client-based revenue, or start a couple of businesses on our own,” Michele Seiler, of Field Notes, says. 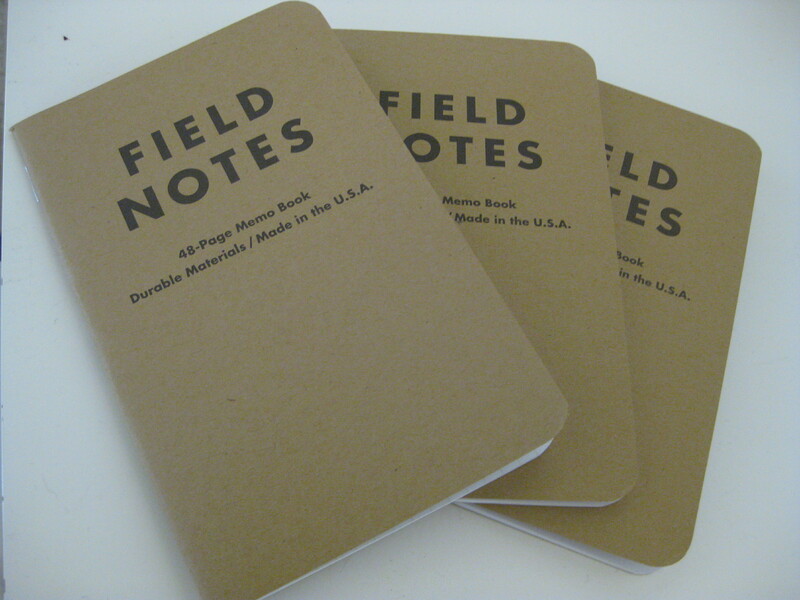 One such business was Field Notes, which began as an online fixture (fieldnotesbrand.com), selling and shipping packages of simple notebooks, inspired by vintage 1930s and 1940s farmers field notebooks. The cover is a neutral brown, and the book itself is thin, perfect for stowing in a back pocket for whenever needed. In addition to their original cover and three paper-style options, Field Notes have built a line of special editions, four per year, to coincide with the seasons. Summer’s edition this year is called County Fair, which they believe connects with the customer on a new, personal level. While there isn’t actually a physical will-call window, packages (which usually include extra tchotchkes, beyond the order) sit, waiting behind the front desk of the studios. Field Notes is remixing new ideas with the old, offering vintage-style notebooks to customers, who are in large part encouraged to participate with their online presence, via their blog-style website and Twitter.